We do buy machines from time to time, but it just depends on the title and what condition it is in. We require that you email us pictures of the machine along with an asking price. 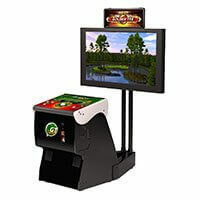 Please send an email to info@thepinballcompany.com. We will then consider purchasing your machine. 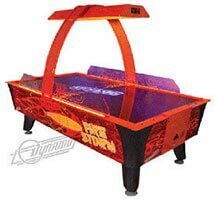 We only buy arcades that are from 2000 and more recent and only pinball machines that we have listed on our site. We do NOT purchase used jukeboxes. Can you tell me the value of my pinball/arcade machine? We do not appraise pinball machines made prior to 1990 or any arcades. We would be happy to let you know what your pinball machine made after 1990 is worth, but please send an email to info@thepinballcompany.com with pictures. We will respond within 24 hours with the value of your machine. 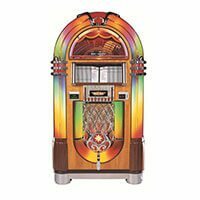 I have an old jukebox… Can you tell me the value, find repairman, find parts, etc…? We do NOT deal in the used jukebox market. We are unable to value your jukebox, find parts for it or get it repaired. We offer 3, 6, and 12 month financing to consumers. Select to pay with “Affirm” at checkout to apply for financing. We offer commercial lease/finance options through a third party company. Go HERE for more information. We do not offer leasing for home use. Do you rent machines for parties or events? What is the lead time for the machines? Lead times vary from a few days up to 4-6 weeks, just depending on the item. However, most items arrive within 2 to 3 weeks. Feel free to give us a call to find out the lead time on a specific item. We currently do not sell parts. You can find links to parts websites HERE. Do you have a technician in my area that does house calls? We have an extensive network of technicians all over the country that do service calls to our customers’ homes. Please email us at service@thepinballcompany.com and provide your invoice number and we can put you in touch with someone locally. What is the different between a high-end restoration and a refurbished pinball machine? 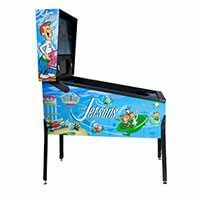 All of our refurbished pinball machines are completely shopped out, meaning that the playfields are cleaned and waxed, all rubbers and bulbs are replaced and we do touch up work on the cabinet as needed. They are play tested to make sure everything functions 100%. See our full refurbished process HERE. The high-end restorations are a whole new level of restoration. The cabinet gets completely sanded down to bare wood and new cabinet artwork is applied. We install a new coin door and new legs, so the cabinet looks brand new. We put in a brand new, clear coated playfield (the clear coat helps protect the playfield so that it will not wear down over time). We install all new plastics and ramps. The finished product is a machine that is even better than it was brand new, because new machines didn’t come with clear coated playfields. It takes us around 2-3 months to complete one high end restoration. It is also extensively tested to ensure it is working 100%.